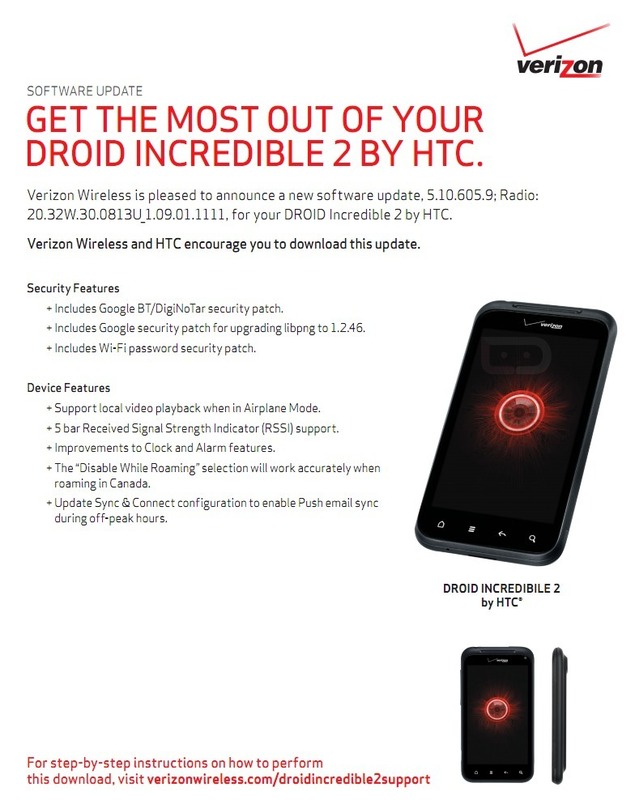 A surprise DROID Incredible 2 update has popped up over at Verizon’s support document section as version 5.10.605.9. A handful of security bugs have been addressed, as well as the ability to play local videos while in airplane mode. You will also notice improvements in the clock and alarm apps, plus better signal strength representation. To check for the update, head into Settings>System updates>Check new. The update is 29.35MB in size.